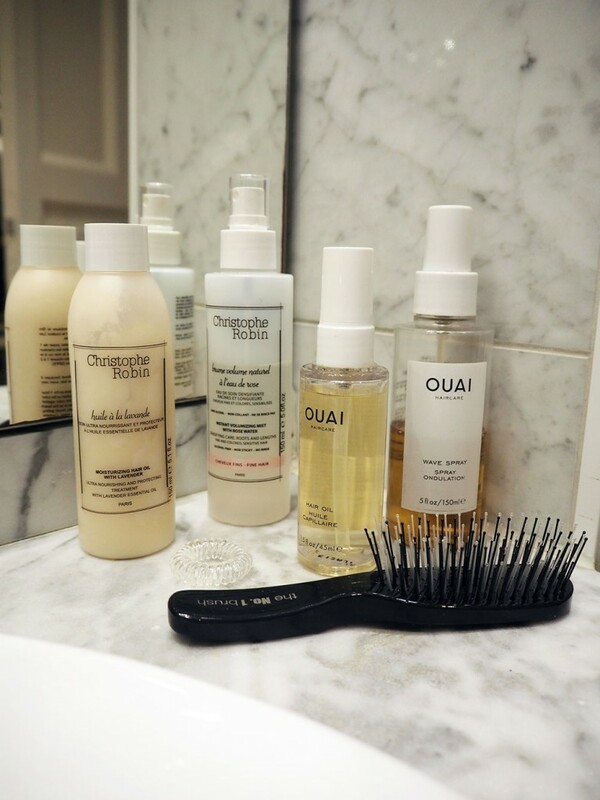 With my passion for all things beautiful, nurturing and scented, of course I’m a beauty-lover – and I am slightly addicted to hair care products. Since I love trying out what you could call “beauty it-brands” as well as insider tips, I thought I’d share some favourites – tested and approved – with you. 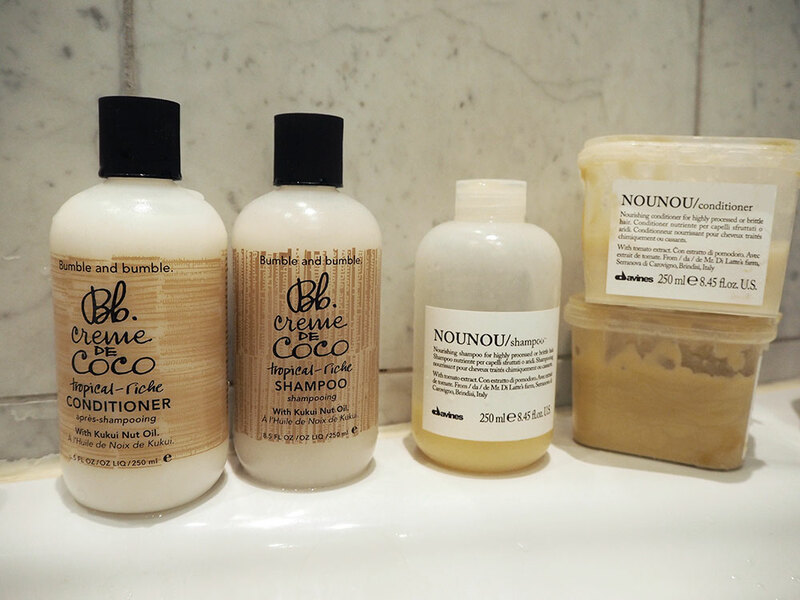 Let’s start with shampoos and Co.: one favourite everyday shampoo is “Creme de Coco” by Bumble & Bumble. Yes, I am totally addicted to coconut, but apart from the scent, this shampoo – and the matching conditioner – moisturises the hair and simply makes it feel amazing. When my hair is a little dry (thanks to cold weather, airplane air, heating or hair dye) I like to use the “Nounou” series by Davines. Shampoo, conditioner and hair mask really nourish and strengthen your hair. I love them! Talking of hair dye: Here’s an insider’s tip my hairdresser has shared with me! I always want my blonde hair to stay a cool, slightly silver shade of blonde – and this shampoo is a great at-home-product to achieve that. 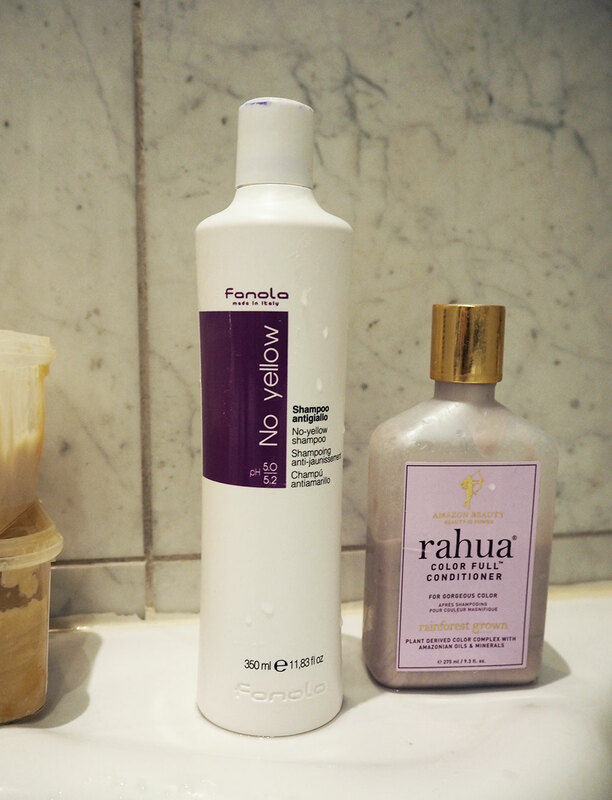 Fanola’s “No Yellow” shampoo (there’s a mask, too) has a dark purple colour and “cools down” your blonde within a few minutes (note: wear gloves when applying this product and don’t leave it in too long, unless you want completely grey hair!). I have written about the “Color Full” series by Rahua before – it’s amazing for coloured hair. I have used up the shampoo but still use the conditioner from time to time. If my hair needs extra care and moisture, I use Christophe Robin’s lavender hair oil (see below) over night (wrap a towel around your hair, so the oil won’t ruin your pillow). On to what happens outside the shower: After washing my hair I like to spray Christophe Robin’s “Instant Volumizing Mist” all over my hair, before brushing it with “The No. 1 Brush” by Michael van Clarke. Yes, the name seems a little ambitious, but seriously, this is the best brush I have used so far. 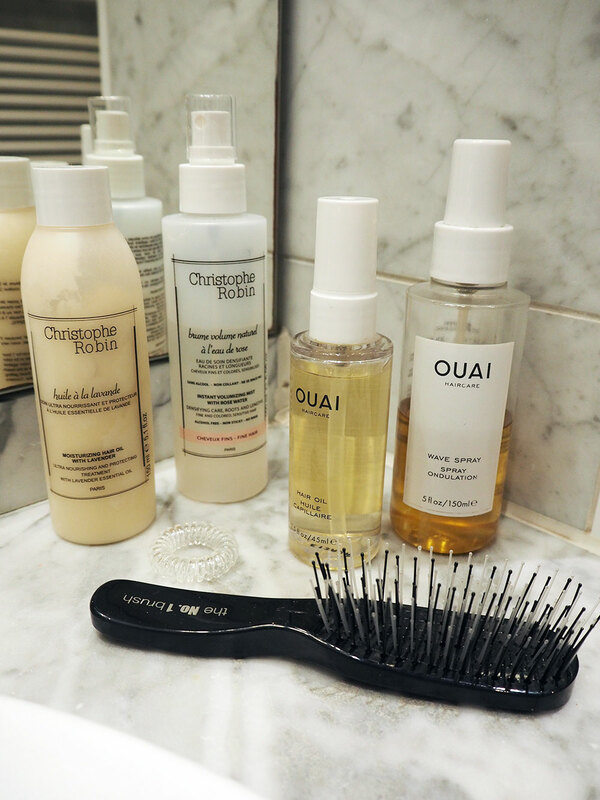 It makes brushing wet hair very easy (without breaking it). I then “massage” a bit of hair oil by Ouai (you have to try it, check out Niche Beauty!) into the hair-ends and blow-dry my hair upside down until it is almost dry. Now here’s a little trick for extra waves and volume: I then turn my hair into a bun (simply by turning a pony tail until it naturally turns into a bun) and fasten it with an Invisibobble hair ring. I leave it like this while I do my make-up, then loosen it and blow-dry it again for a few seconds. Finally, I spray Ouai’s “Wave Spray” into my ends and knead the ends slightly. Voilà, done!